This is a tribute to Black Panther. Man Ape is one of those villains who is fairly iconic but didn’t really get much better in the modern comics. He used to be a credible threat to Black Panther but has long since been surpassed. While he looked good in the movie, he still isn’t ready to surpass the king. A fitting way for Black Panther to score his first win on the blog! Black Panther wins. 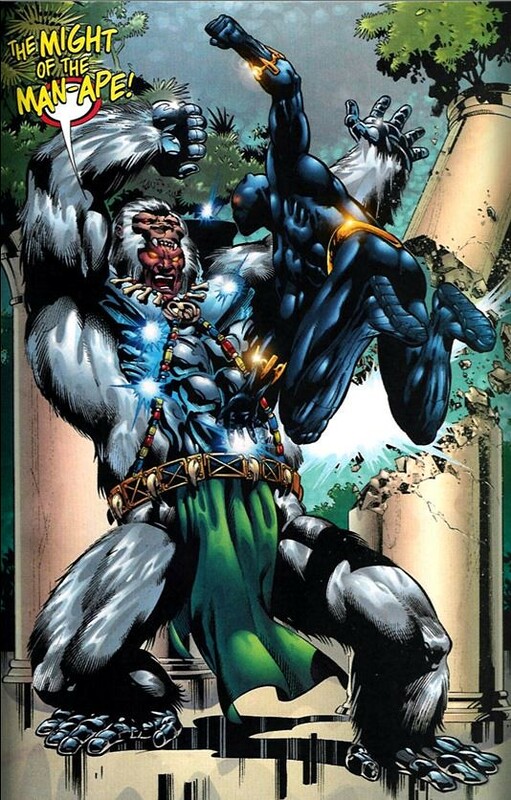 This entry was posted in Battles, Black Panther Battles, Man Ape Battles, Tribute Battles and tagged Black Panther, Man Ape by dreager1. Bookmark the permalink.